This charismatic comic performs in comedy clubs worldwide where she is in as much demand for her compere abilities as she is for her comedy routine. Her natural stage presence alongside her “healthy neglect” attitude to life proves extremely popular amongst many and varied audiences including the armed forces where she remains as one of the few women to go to military bases to entertain the troops. 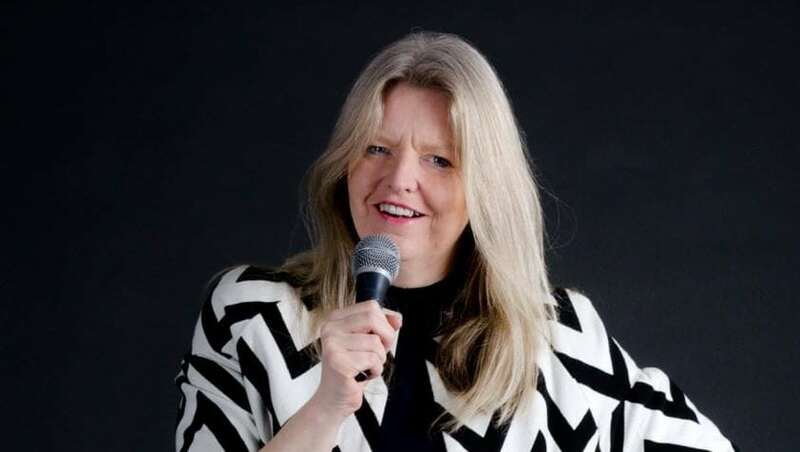 She is regularly requested to support other comics on tour the likes of which have included Jenny Éclair, US Comic Louis Ramey, 4 Poofs and a Piano and Tom Stade. She is also a popular TV Warm up artist for studio based shows which have included the BBC1 sitcom The Old Guys and Badults on BBC Three.